Finding a hotel in SG is very hard for us. We need to consider four things, 1st it should be near MRT, 2nd affordable, 3rd safety and last but not the least, comfortable. 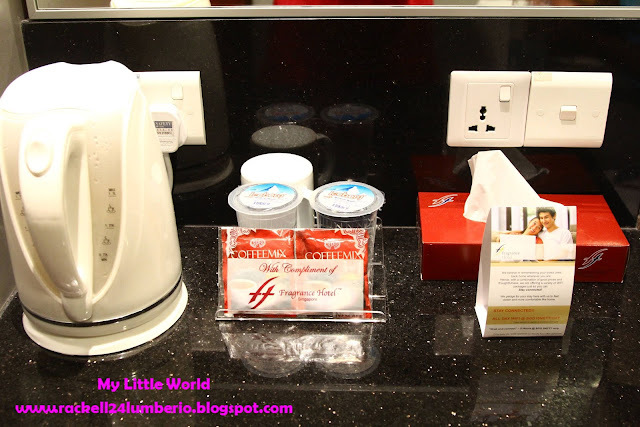 We have 3 choices but after reading some reviews and asking for other friends who visited Singapore, Fragrance Hotel is the best! 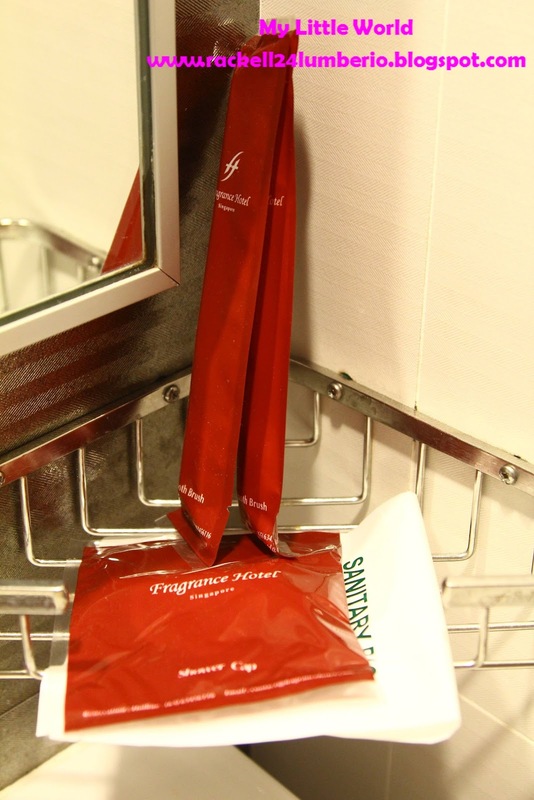 There are 22 branches all over the Singapore; Fragrance Hotel – Imperial, Fragrance Hotel – Selegie, Fragrance Hotel –Bugis, etc. etc. etc. (Just visit their website for more info). We compared the 3 Hotels considering our four conditions, we think not only once, twice but TRICE! 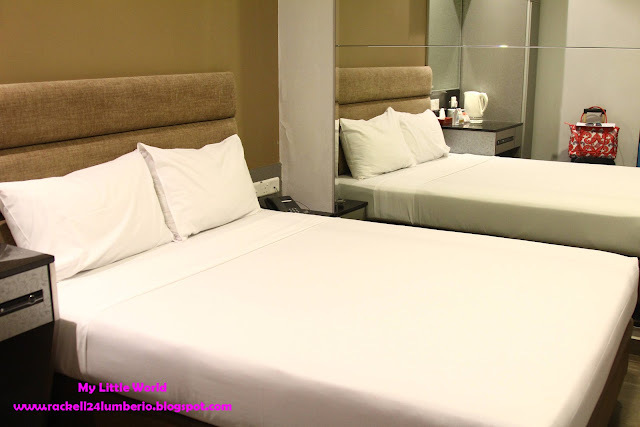 And finally, after several months of discussing where to stay in SG, we settled in Fragrance Hotel – Bugis. 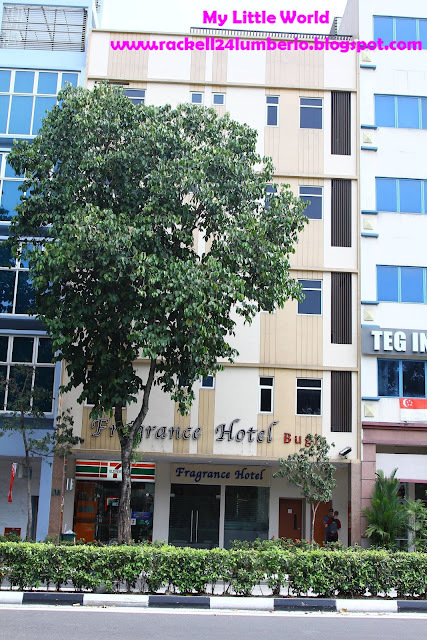 Fragrance Hotel – Bugis is just a 30-minutes’ drive from the Changi Airport. It is also walking distance to the Bugis MRT Station as well as in the Bugis Juction Shopping Center, I think more or less 5 to 7 minutes away from hotel. I like their location since it is close to many landmark building such as Intercontinental Hotel and the National Library and surrounded by many restaurants. Hotel is also close to Suntec City Mall and Raffles City Shopping Center. We reserved 6days/5 nights at Superior Double Room and pay $ 91.43 per night, actually this is promo rates (15% less) since we booked early. Check-in time is 3pm but fortunately, they allowed us to check in early. A few steps away from the hotel door are 7-11 where we buy water every night and Hotel 81. Please take note that not all rooms have window, ours doesn’t have windows that’s why we are didn’t know if it is raining outside or not. The room is much bigger compare to USAHostel that we stayed in Hongkong. The bed is really comfortable and big enough for us. 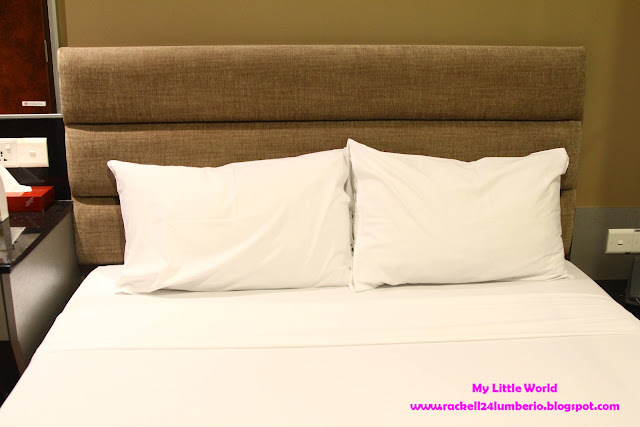 The pillows are soft, the mattress and sheets are clean. 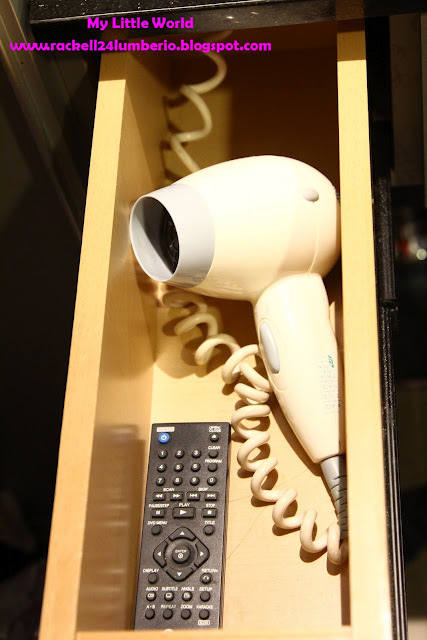 You can easily control your aircon temperature by just pressing and adjust it. The comfort room has no divider but again it is much bigger than the one in USA Hostel. The shower has hot and cold. They provided us basic toiletries, pair of towels and blower placed on the mini drawer. I like the free hand / body liquid soap which really smells so good. 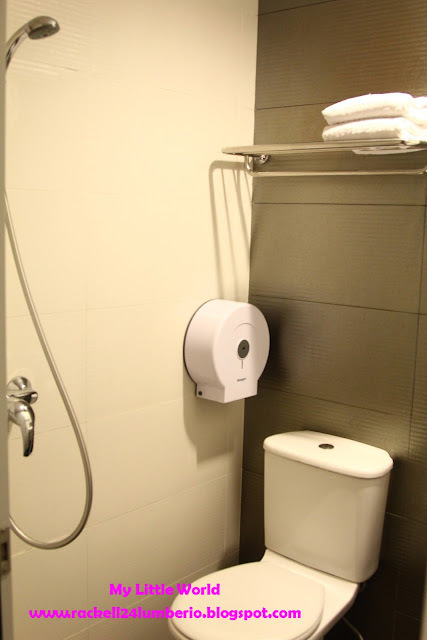 They also provide complimentary beverages such as coffee and bottled purified water. It has electric kettle that you can use to boil water for your coffee or cup noodles like what we did. Every time we went out our room, they clean it and change everything like towels, mattress and pillow case. I love the receptionist since they allowed us to call the Full House Restaurant and also printed our e-ticket to KL. 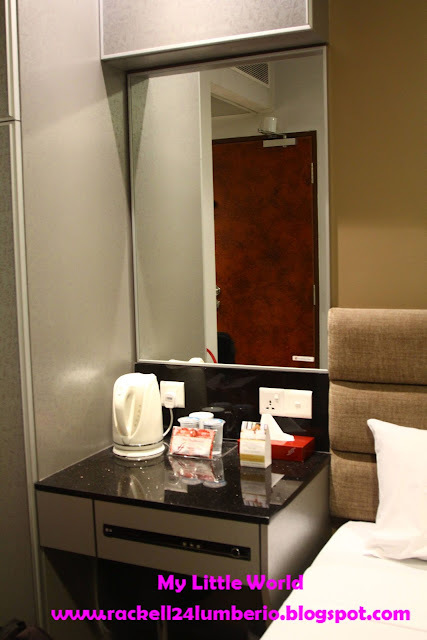 We also avail their in-room Wi-Fi service to check for our next destination, SGD 10.00 good for 24 hours. Our room has a cable television, every day we watched 2012 Summer Olympics held in London at ESPN Channel. I love also the huge mirror on the wall surrounded by well-functioned lights. Grabe, as in kitang kita ko buong katawan ko every time I walked around our room. Haha. The cabinets are small but enough to place some of our things like pasalubongs and some clothes. They also provided DVD/CD player unfortunately we didn’t use it, saying di kami nakapag dala ng cd. Hehe. Overall, Fragrance Hotel – Bugis is a fine and right choice for guests who want an affordable and comfortable place to stay in the heart of the city.